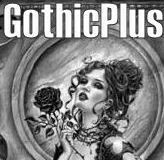 Here is a list of our most popular tags for gothic shoes and boots for both men and women. Click on your favorite style or style family to see all available for that tag. (this is a work in progress and will be completed soon - not all links work yet).